Dr. Griffin McMath first envisioned her future as a naturopathic doctor at a young age. “When I was a child—and still to this day—that visual includes me being dropped nearly anywhere in the world, no matter how globalized or ‘developed,’ with only my knowledge, two hands, and limited supplies, and serving as an effective and compassionate physician to whoever needs my help,” she says. Dr. McMath quickly determined that naturopathic medicine was the right path for her. “From the moment I began switching gears to apply to naturopathic medical school, I felt more in alignment with myself and my purpose,” she says. When applying to schools, she was encouraged by the holistic admissions process. “Even filling out the applications showed that AANMC schools looked not only at your transcripts, but also at who you are as a person and how capable you may be at creating and maintaining a therapeutic connection,” she recalls. She eventually chose Bastyr University California because it aligned with her goals and her personality. “Bastyr was opening a second campus at the time, and I knew I had a personality that did well with adventure and pioneering. I enjoy environments where I am able to create my own opportunities and give back in order to build something bigger and better,” she says. The university’s admissions advisor also facilitated a positive experience as Dr. McMath explored her options. “This made me feel and know that this school really wanted me to succeed,” she says. “I could write a book on what I gained from my time at Bastyr,” Dr. McMath says. The most memorable aspect of her experience at the university was the support she received from the faculty and staff. “I’m a boisterous and bold individual, and learning how to channel enthusiasm and ambition such as mine requires guidance by a supervisor and institution. Since my energy and passion are rarely in short supply, Bastyr helped teach me how to use my strengths and personality in a way that is effective in patient care and in countless other settings,” she says. Bastyr also prepared her for the business side of becoming an ND. “I attended almost every business workshop Bastyr provided from day one and was an active participant of nearly every state and federal legislative initiative,” she says. After graduating and passing her NPLEX exams, Dr. McMath took some part time work before moving to Washington, D.C. to chase her dreams. “I had no full-time position, no solid community of friends or family waiting for me, and minimal recollection of a life involving weather below 65 degrees. Still, my dreams persisted, and I followed my passions and my instincts. The encouragement and support of friends and family from afar truly helped give my wings flight at that time,” she says. “My work and life are pretty busy—yet manageable—right now, and I’m reminded of that unofficial principle of naturopathic medicine: ‘Physician Heal Thyself,’” she says. With a full-time position as program administrator of Integrative Medicine at MPTC plus a role as the community outreach coordinator for the Institute for Natural Medicine, Dr. McMath makes an effort to stay grounded and connected. “I utilize my daily commute to catch up with family or friends, listen to audiobooks or the news, and belt out some tunes to start my day on a cheery note. I walk or run with my pup multiple times each day, try to prep my meals as often as possible, and spend time exploring D.C. with girlfriends on the weekend evenings,” she says. 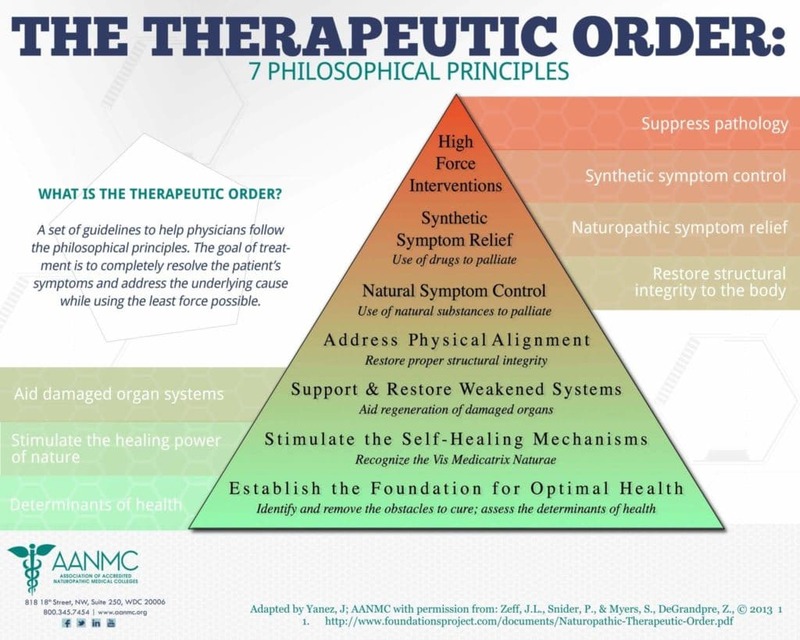 “Naturopathic medicine gives you the mindset to keep asking ‘why?’ and peeling each layer of the clinical ‘onion’ backward,” Dr. McMath says. She views the flexibility of the profession as one of the most attractive aspects of her career. “I see naturopathic medicine as an incredible philosophy, structure, and mechanism, which has principles that can drastically benefit public health and policy realms. It is my hope to utilize my degree in naturopathic medicine in these ways as well as work one-on-one with patients,” she says. 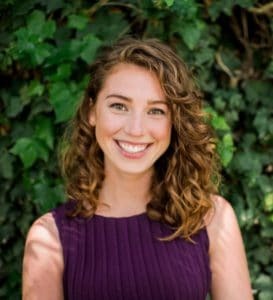 “Guiding naturopathic doctors into local and global public health and policy settings continues to be a vital priority, especially as the public increasingly vocalizes an interest in natural and integrative health—our experts should be the ones to help facilitate these conversations,” she says. Work smarter. Collaborate; support one another; challenge one another. Diversify your clinical exposure and skillset, and engage in respectful, open-minded discourse with others. Join your state association, NMSA, AANP, and consider becoming an INM Ambassador. Attend the free workshops and seminars and find a mentor. Appreciate the work and impact of those who have come before you, and continue to grow and build this profession. Be involved. Attend state and federal lobby days. Take part in awareness activities. Always remember, FIRST become a great doctor. What motivates us to become doctors? Sometimes it’s a philosophy we resonate with, sometimes it’s a love of science, and other times, like in the case of Meghan Walker, ND, and Erin Wiley, ND, it’s the satisfaction of making connections. Whether these Canadian College of Naturopathic Medicine (CCNM) alumnae are connecting people with their body’s own ability to heal, offering patients community resources and groups, or enabling one healthy person to affect a whole family or village, these women thrive on broadening horizons. As cofounders and codirectors of the Integrative Health Institute in Toronto, Ontario, Drs. Walker and Wiley daily weave a web of connections that sustains them professionally and impacts communities near and far. The clinic offers integrative medical services and an enormous range of educational and community events. Dr. Walker serves on the board of the Ontario Association of Naturopathic Doctors and the Canadian Association of Naturopathic Doctors, and both women participate in ongoing work with international youth and health initiatives. Even as students, both of these remarkable women were involved in health outreach, student government, and international assistance – taking the initiative to establish an externship in South Africa. Find out how they’ve built and fostered connections and watched the rewards multiply. AANMC: Meeting Meghan was obviously a pivotal part of your life. Tell me about how you met each other at ND school and how you decided to start a clinic together. EW: Meghan and I met each other at CCNM because we had a lot of commonalities – we were both interested in student events and student initiatives. I was president of the Naturopathic Student Association (NSA) during my third year, and she was very involved in promoting the CCNM Youth Health Forum. So we knew each other, but it was during an internship in our fourth year that we really discovered how well we could work together. Then we teamed up to establish an externship in rural clinics in South Africa and did the externship together. Something that tied us together, even then, was the whole notion of facilitating empowerment for others. While we were in Africa, we started talking about bringing those ideas back home and opening a clinic in Toronto focused on women’s empowerment, with women’s health being a focal point for families and communities. AANMC: How did your involvement in student government, especially the NSA, help you connect with other people at school? EW: Being part of the NSA was a real opportunity for us to get to know the student body and to become familiar with a lot of CCNM staff, particularly the practitioners at the teaching clinic. Students have a real opportunity to influence what is going on, to influence the quality of their lives while in school. Those who are involved get a lot more out of the overall educational experience, but it also takes a considerable amount of time, energy and effort. Meghan and I, we definitely needed the community support of our peers in order to manage that level of involvement along with coursework and exams. MW: I think being part of the association lent itself to many opportunities. I had the chance to sit on the board of CCNM when I served on our student government, and that helped me see from a completely different paradigm how the profession operates. That experience opened doors, piqued my interest, and definitely facilitated my involvement in the profession since graduating. AANMC: In addition to student government, you also found ways to reach out to the greater community through health education during your time at CCNM. That’s quite an accomplishment as students! MW: Yes, one of the things I was involved in at CCNM was our health promotion weeks. There was a week focused on women’s health, a week focused on men’s health, and a week devoted to youth and pediatrics, which I assisted in organizing. I helped create an outreach event for schools in the greater Toronto area, and we brought in around 175 students each year to learn about health from a preventative standpoint. It was a really neat way to connect to our community and to expand the message of naturopathic medicine not only outside the borders of our own school, but also to a different demographic than we would otherwise reach, especially on such a large scale. EW: Meghan was really instrumental in doing that and year after year, it was the largest community-attended community event at the school. So it was a real opportunity for naturopathic students to get involved in mentoring, and I think it was empowering for both the CCNM students and the youth. AANMC: Were there other meaningful school connections you made that have carried over into your life now? EW: Yes, it’s great knowing we have a fantastic group of friends we can count on for support with regard to research or case advice. Just recently, I referred one of my patients to a classmate who is working in Singapore. And it felt really good to know that I can send a patient to someone I really trust on the other side of the world. AANMC: With the patients at your clinic, how do you create the most positive connections? Do you try to create health not only by what you say, but also by what you do? MW: Absolutely. Our clinic is about so much more than one-on-one interaction; we host many activities here that reinforce our focus on integrative health. And with the diversity of practitioners here, we’ve really built a teamwork orientation into the foundation of our practice, which leads to huge results for patients. We’re not just advertising that we’re integrative, we really live and breathe that at every level within our clinical space. And certainly in the one-on-one with patients, we have the opportunity and the privilege to take an intimate look at their lives, to really guide them in a way that empowers them to be stronger – physically, mentally and emotionally. EW: I think our patients feel connected to the entire team, because they’re not getting mixed messages from their naturopath versus their chiropractor versus their nutritionist. Everyone’s on the same team, and if there are questions and discrepancies then they’ll be answered and addressed. The patients are not peripheral; they’re at the center and at the helm, guiding their own health care. AANMC: Cofounding and codirecting a clinic obviously requires you to connect and collaborate with each other. How do you work together as partners and what makes you successful at it? MW: Since partnerships can be difficult, our relationship really focuses on communicating. It’s built on mutual respect for one another. I really respect the types of experiences Erin brings to the partnership and her way of seeing the world, which isn’t always the same way I see the world, and that is the gift we can each offer. Having total faith in her ability to handle things has been instrumental for me in terms of being able to operate within a partnership and build such a significant practice. EW: I really value working with Meghan because she is very inspiring to me. I do give her credit for making me a better naturopathic doctor and a better business owner. I can look to her as an example and if areas need improvement, she can help show me a path, and vice versa. AANMC: Did either of you consider having your own clinic? MW: I think so. I think most people do consider having their own clinics, and I think both of us had an idea of what we wanted, so we were lucky that our visions were similar. I think based on those similarities, we saw that we could be stronger together. And I think our team appreciates knowing that we provide a seamless experience – that’s where I begin and Erin ends, and where Erin ends I begin. AANMC: You seem to have a real focus on reaching out to the community — given all of the resources you offer — including lectures, workshops, classes, a book club, a running group and more. How did this come about? EW: We do all of this because it’s so important to patients’ overall health. For instance, we offer workshops on pre- and postnatal yoga and infant massage, because we have pregnant women in the community and it’s great for them to meet others under similar circumstances. It decreases their stress and it makes us better doctors. 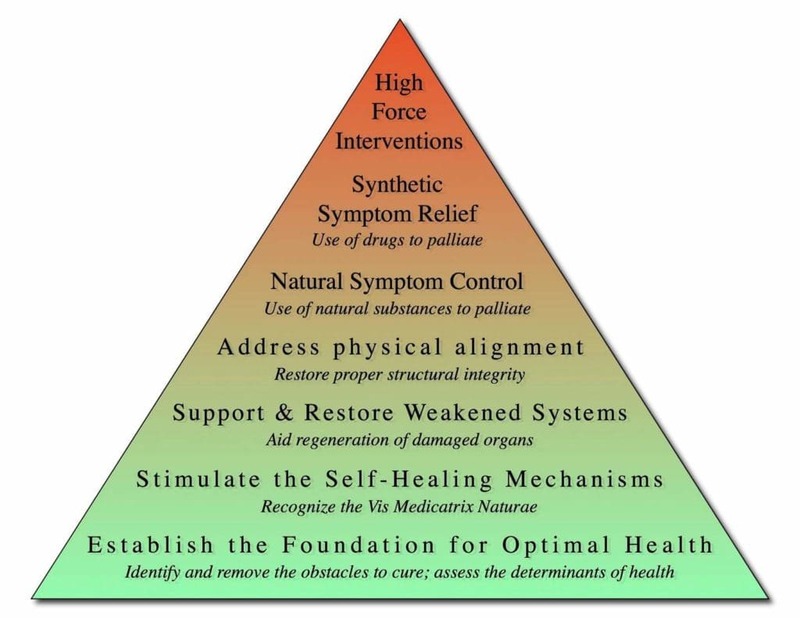 We get better health results when their health is addressed holistically. The same holds true for our group programs. Some people have real mental roadblocks preventing them from overcoming obstacles. But when they meet in a group and see other people working to overcome the same obstacles, they have a greater sense of confidence they can do it. They inspire one another, and the benefits are fantastic. This idea of involving community and influencing health through many channels is just something inherent to both of us. AANMC: You’re involved in many other outreach activities, especially relating to youth empowerment. What led to this focus? MW: The work we did with Millennium Kids sort of led us down this path. 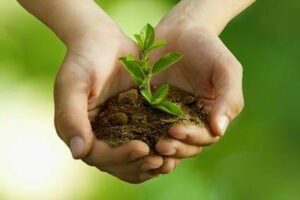 Millennium Kids is a youth empowerment organization that focuses on the environment as a mechanism for teaching leadership skills. It’s been operating in Australia for 15 years, and about nine years ago I founded Millennium Kids in Canada, while I was studying biology and reproductive physiologyat the University of Waterloo. We organized national and provincial conferences, and we had all sorts of outreach opportunities for youth; it became its own self-sustaining organization, so the kids continued doing their own work. Then at CCNM, we used the principles of Millennium Kids to build the project in South Africa where did our externship. No matter where we visited in Africa, we had youth with us observing, so they could learn about interacting with government, running a clinic or running a workshop. That experience has extended into our practice now, in that we really ensure that we have an active mentorship program. EW: Meghan also speaks regularly to a youth group with the Crohns and Colitis Foundation. I speak regularly at Youth CAN, a youth empowerment conference hosted by the Ontario Children’s Aid Societies. AANMC: Do you have plans for future international involvement? MW: There are always ideas and opportunities in the works, definitely. I think we would both love to go back to South Africa – it’s just a matter of the timing being right on both ends: both politically in South Africa and where we are in the evolution of our practice here. EW: I think Meghan and I both dream of having a satellite clinic in South Africa, kind of a sister clinic to the Integrative Health Institute. But we’re just 3½ years into our evolution here, so there are a few more steps we have to take before we can grow to that point. AANMC: I know Meghan is a board member on the Ontario Association of Naturopathic Doctors and the Canadian Association of Naturopathic Doctors. Can you tell me about how you see beneficial connections happening through your involvement on those boards? MW: I’m fortunate enough to sit on the boards for both my provincial and national associations, and it’s a real privilege to have that type of connection to the profession. It allows me to stay connected with students and to have my finger on the pulse of the profession, so I don’t feel isolated as a private practitioner. AANMC: How have you used social media and other media outlets to reach out to the public? I see Meghan has her Twitter address on your website. EW: We basically use three avenues: Twitter, Facebook and Meetup. The whole premise of Meetup is getting people to meet face-to-face, so we really like that site: We host a running group, a parenting group and a general integrative medicine group on Meetup, and we also post a lot of our workshops through that venue. We have also engaged the media as much as possible for a variety of reasons; we have been very fortunate in that way. It seems these unique women have found the perfect match, both in each other as clinic codirectors and in their chosen career pursuits. Meghan loves being involved in the political side of the profession, and so marrying her clinical work to her positions on association boards is a great fit. Erin’s interest in empowering others began when she was swimming instructor in high school and grew as she ran a community-based health promotion program in undergraduate school. Both women find rewards in seeing people take charge of their lives and their health. In fact, by doing this interview, they hope to inspire other new graduates to believe they can make a difference in the profession and in their community. Author Sydney Spencer is a freelance writer living in Richland, Wash., with an interest in promoting natural medicine and helping others to achieve holistic wellness.